A group of Lower Bucks County residents have been traveling down to one of the areas in Philadelphia that has been hardest hit by the heroin epidemic to offer help and hope. Volunteers have teamed up with nonprofits Luke’s Hero In Me and the Bucks County chapter of Fire and Iron Motorcycle Club over the past few months to trek down to the city’s Kennsington neighborhood to offer a hand to those struggling with addiction. In some cases, they’ve found Bucks County residents living on the streets in one of the region’s most notorious havens for heroin use and trafficking. The group meets in Lower Bucks County and heads to Kennsington semi-regularly. They provide a hot meal, clothes, toiletry bags, and resources to help those struggling with addiction to take a break from its grasp. Their September trip helped more than 300 people and a recent post-Thanksgiving was expected to help just as many, if not, more people. “We fed 350 people, gave out 650 pounds of clothes and shoes and, most importantly, got three into treatment and one to a recovery home,” according to co-organizer Tina Nicol-Grady, a Morrisville resident and former member of Tullytown Borough Council. 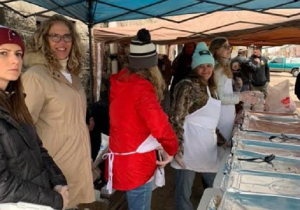 Lower Makefield resident Maureen Johnson, one of the effort’s organizers, said food trucks have helped out and the Luke’s Hero In Me nonprofit has purchased meals to give out. 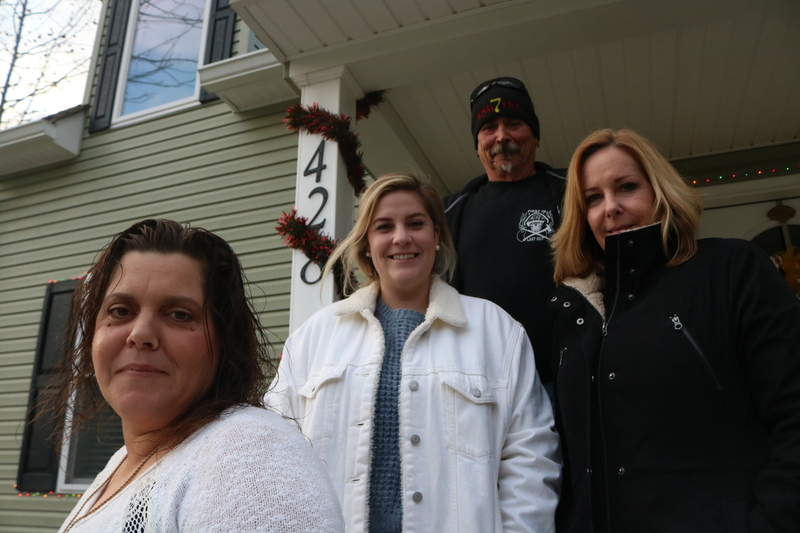 Those on the streets struggling to keep up with their all-consuming addiction are many times overlooked and the Bucks County-based outreach effort passes on some help and hope. “This is important to them and they’re so grateful,” she added. “You can see the ones who want help,” Johnson said. Aside from often being hungry and without proper clothing, some of those dealing with addiction on the streets also have untreated hepatitis C and human immunodeficiency virus (HIV). As the number of volunteers has increased, so has the number of those who have been helped, Nicol-Grady explained. 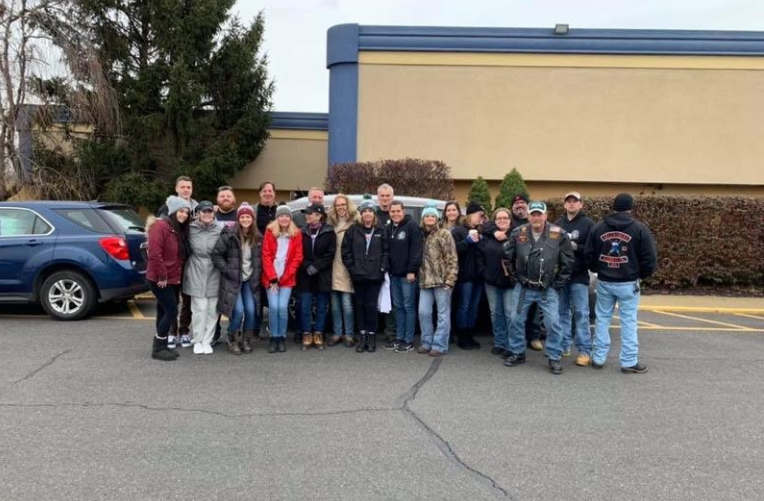 The recent group of outreach effort volunteers included six families who have lost loved ones to addiction-related deaths. For the Johnsons, they started the Luke’s Hero In Me nonprofit to aid and raise awareness and education after 22-year-old Luke Johnson died of a heroin overdose in May 2017. Maureen Johnson said the chance to go down and help gave her “mixed emotions” during her first trip in the time following her son’s death but it has become somewhat of a healing exercise. Her husband, John Johnson, was apprehensive at first but changed his mind during his first trip down to volunteer. “These are people from all different backgrounds, from Bucks County, out there,” Johnson said. A group of recent volunteers. “This is something everyone should experience, to see it on the ground,” said Alex Johnson, Maureen Johnson’s daughter. Nicol-Grady, who has been sober for more than two decades, knows about addiction first hand from her experiences and from family members. She has made it a part of her ethos of giving back. “This is important to help,” she said. Retired career and volunteer firefighter Kenny Bowman, who is president of the local branch of the Fire and Iron Motorcycle Club, said he has seen the impacts of heroin addiction first hand through his years in the fire service. “It’s very sad, but it’s fulfilling to go there and help them and treat them with respect,” he said. “My guys and gals come back and say it’s such an eye-opening experience,” he added. Bowman said it was not uncommon in the fire service to get called to a home for a nonfatal overdose and return just a hour-and-a-half later. All four involved in the effort told LevittownNow.com the negative stigma of drug addiction can be just as dangerous as use of heroin. “We need to break the stigma,” Nicol-Grady said. “The stigma is killing them as much as the needle in their arm,” Bowman said. Maureen Johnson said often times “parents suffer in silence” when they have a child trapped in the world of addiction. The Luke’s Hero In Me nonprofit plans to work on future events, including the Kennsington outreach drives. They will be hosting more fundraising events and also accept donations on their website. Bowman said the Fire and Iron Motorcycle Club also plans to keep taking part. Nicol-Grady also plans to keep involved and is running a holiday toy drive for kids who have lost their parents to addiction. Those interested in volunteering at outreach events can get involved through the nonprofits. Another outreach effort is planned for sometime around Christmas. “The holidays aren’t what they used to be for us, but we can help someone else,” Maureen Johnson said.